for the women~s FitFlop sizing guide. 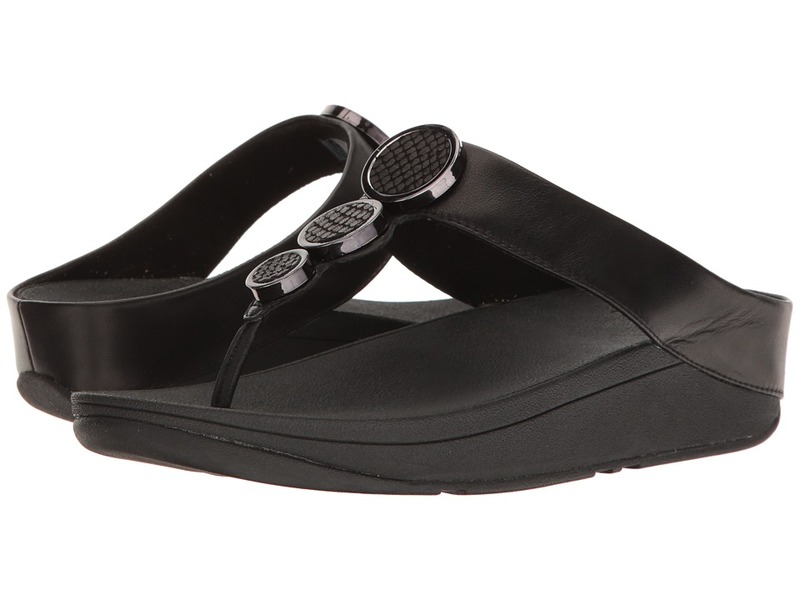 Click to learn more about the biomechanically engineered, ergonomic FitFlop&amp#174 footbed. Hail to lasting comfort! The Halo Toe Thong Sandal delivers and with style to boot! Leather uppers with decorative accents down center. Easy slip-on thong sandal with a soft toe post. Soft and breathable microfiber linings. Microwobbleboard EVA midsole features a high-density heel, low-density midsection, and mid-density toe cap. Please click for a video about Microwobbleboard technology. Carries the American Podiatric Medical Association (APMA) Seal of Acceptance. Slip-resistant rubber outsole delivers long-lasting durability on a variety of surfaces. Imported. Measurements: Heel Height: 1 3 4 in Weight: 7 oz Platform Height: 1 in Product measurements were taken using size 9, width M (B). Please note that measurements may vary by size. Weight of footwear is based on a single item, not a pair.